LAS VEGAS, NEV. (September 17, 2013) -- It's just 25 days until undefeated World Boxing Organization (WBO) welterweight champion TIMOTHY "Desert Storm" BRADLEY, JR. and four-division world champion and Méxican icon JUAN MANUEL "Dinamita" MÁRQUEZ, both coming off Fight of the Year performances, collide in a battle for Bradley's world title. The only two fighters to have defeated Fighter of the Decade Manny Pacquiao in the past seven years, Bradley vs. Márquez will take place Saturday, October 12, at the Thomas & Mack Center, on the campus of the University of Nevada, Las Vegas. It will be produced and distributed live by HBO Pay-Per-View, beginning at 9:00 p.m. ET / 6:00 p.m. PT. 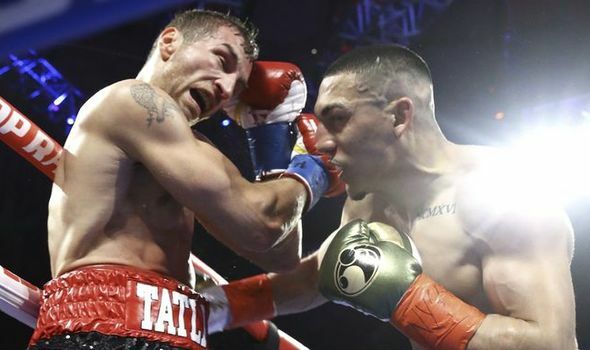 Promoted by Top Rank®, in association with Zanfer Promotions, All Star Boxing, Wynn Las Vegas, Márquez Boxing, and Tecate, the Bradley vs. Márquez pay-per-view undercard is just as steeped in excitement and historical significance as the main event. No. 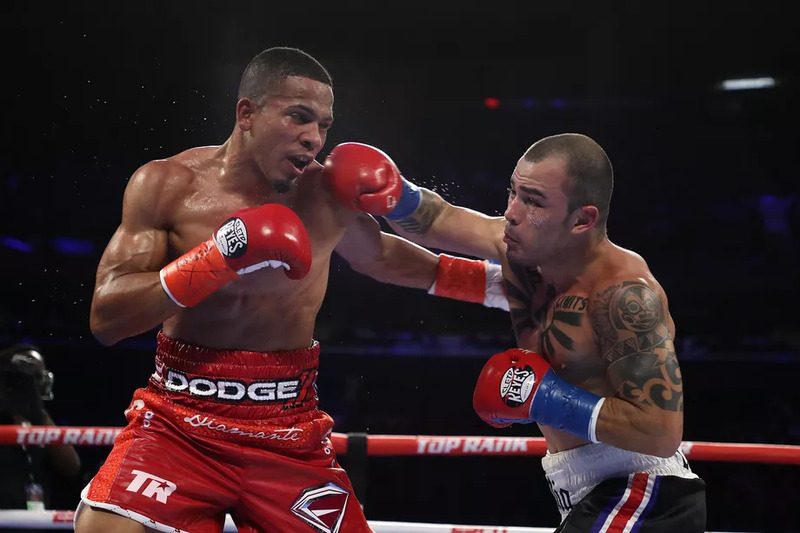 1 contender ORLANDO CRUZ, boxing's first openly gay fighter, will clash with former two-time featherweight champion ORLANDO "Siri" SALIDO for the vacant WBO featherweight title. For Cruz (20-2-1, 10 KOs), of San Juan, Puerto Rico, and a member of Puerto Rico's 2000 Olympic team, this will be his first world title shot. Half of Cruz's professional victories have been by knockout, including three of his last four fights -- all for the WBO Latino featherweight belt -- propelling him to the top of the WBO ratings. He enters this title tilt riding a two-year winning streak, highlighted by a first-round knockout of previously undefeated Michael Franco. Salido (39-12-2, 27 KOs), of Ciudad Obregon, Sonora, México, will be looking to complete a hat trick in regaining the title he previously held for nearly two years. He captured his first world title in his third attempt. After a No Decision to Robert Guerrero in 2006 and a split decision loss to Cristobal Cruz in 2008, Salido finally captured the International Boxing Federation (IBF) featherweight title in 2010, avenging his loss to Cruz by winning a split decision. 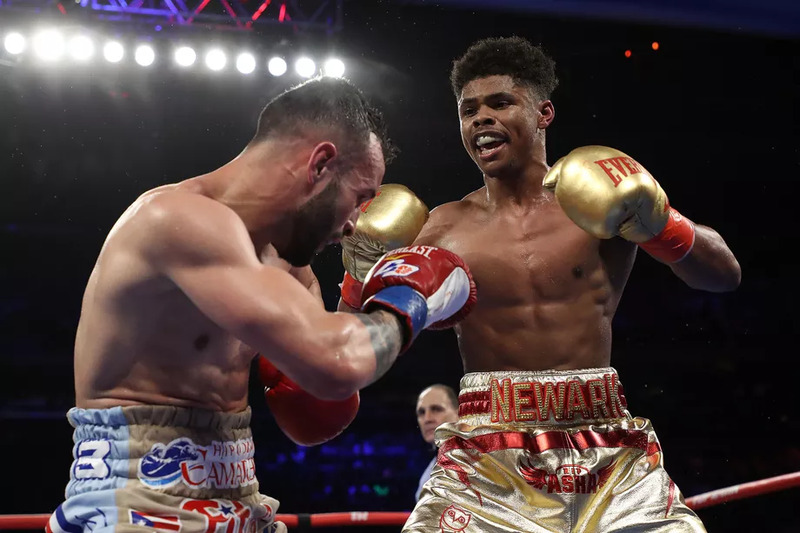 His title reign was short-lived, losing a unification fight to World Boxing Association (WBA) featherweight champion Yuriorkis Gamboa later that same year. Salido bounced back in a big way, stopping undefeated WBO featherweight champion Juan Manuel Lopez in the eighth round in 2011 to capture his second world championship crown. Salido enters this fight having won five of his last six fights by knockout, including title defenses against Kenichi Yamaguchi in 2011 and a rematch with Lopez in 2012. He lost the title in January, by decision, to Mikey Garcia. He is currently world-rated No. 3 by the WBO. Two-time Ukrainian Olympic gold medalist VASYL “The Great” LOMACHENKO will jump into the deep end of boxing’s international-sized swimming pool when he makes his professional debut in a 10-round featherweight bout against top-10 contender JOSE LUIS RAMIREZ. Lomachenko first gained international renown by winning gold medals in the 2008 Beijing Olympics and the 2012 London Games as a featherweight and lightweight, respectively. Known for his all-out aggressive style of boxing, Lomachenko is equally aggressive in plotting his professional boxing plan to a world title where he insisted on making his pro debut in a 10-round bout against a seasoned veteran where a victory could propel him to a Top-10 world rating. He certainly has that in Ramirez (24-2-2, 15 KOs), of Méxicali, Baja California,México, who has won six of his last seven fights. Ramirez enters this fight fresh from a career-best victory, a 12-round decision over Rey Bautista (34-2, 25 KOs), in April. 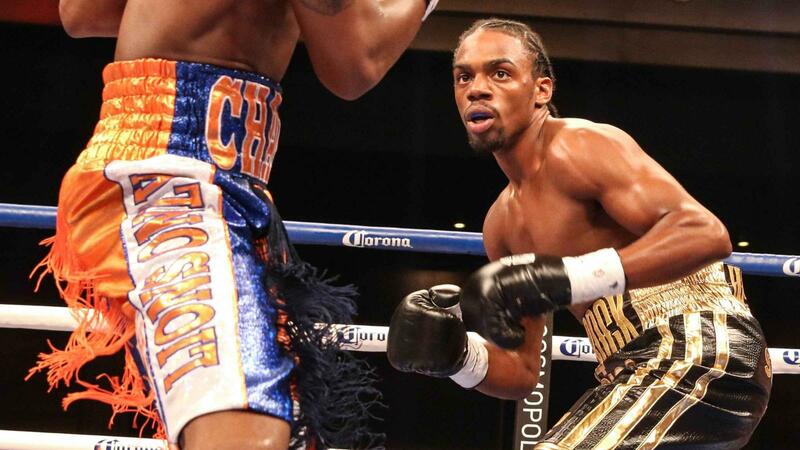 for the WBO International featherweight title, ending the No. 4-rated contender's four-year winning streak. Ramirez is currently word-rated No. 7 by the WBO. Undefeated World Boxing Council (WBC) Americas light heavyweight champion "Irish" SEANIE MONAGHAN, one of the top boxing gate attractions in his native New York, will open up the live telecast in his pay-per-view debut. 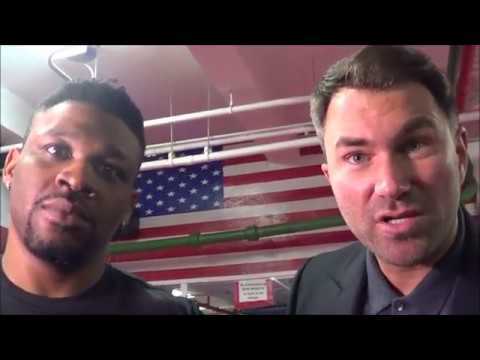 He captured the title on June 14, 2012, via an eighth-round TKO of Romaro Johnson and successfully defended it last October 24, winning a unanimous decision over Rayco Sanders. Known for his aggressive style and good punching power, especially to the body, Monaghan, 31, is currently world-rated No. 10 by the WBA. 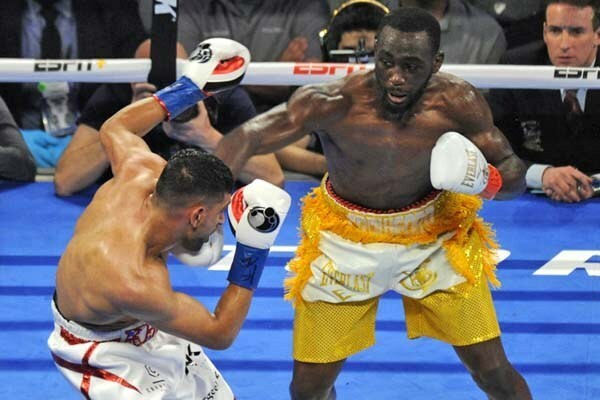 In last his fight, on April 13, he scored a first-round knockout of Dion Stanley on the undercard of the Nonito Donaire - Guillermo Rigondeaux world junior featherweight championship at Radio City Music Hall. Venturing outside the New York / New Jersey area for the first time, Monaghan (18-0, 11 KOs), of Long Beach, NY, will risk his title, undefeated record and top-10 rating against ANTHONY CAPUTO-SMITH. 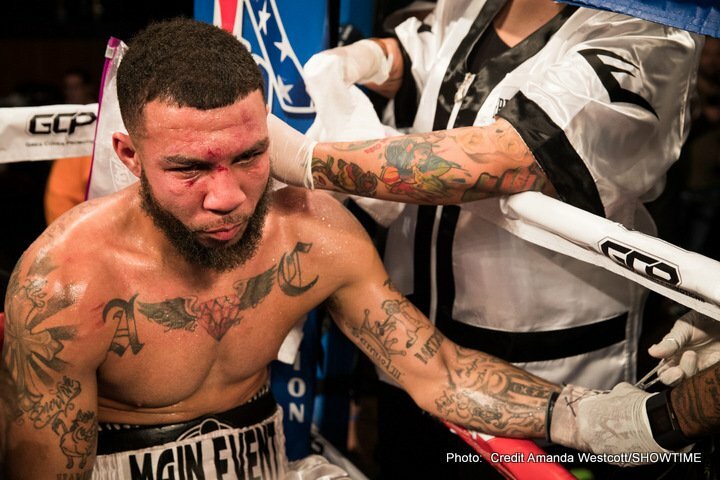 Smith (14-1, 10 KOs), of Kenneth Square, Pa., captured the Pennsylvania State light heavyweight title on April 19, winning a gritty majority decision over Dhafir Smith. Remaining tickets to the Bradley vs. Márquez welterweight championship event, priced at $800, $600, $400, $300, $200, $100 and $50, can be purchased at the Thomas & Mack Center Box Office, online at UNLVtickets.com, at UNLVtickets Outlet Town Square Las Vegas Concierge, or by calling 702-739-FANS (3267).